 With $1 a month, we can change the world. DollarFund Inc. is a registered 501(c)3 nonprofit organization. It’s not about giving more. DollarFund is all of us coming together to multiply one to one million. So that everyone can have an impact.